Spending hours in front of a digital device can be hard on the eyes, but it does not have to be. Your eyes are muscles like any other muscle in your body and they get tired from use. Staring at computers, smart phones and tablets play a major part in your eye exhaustion and troubles sleeping. GUNNAR is the only patented computer eyewear recommended by doctors to protect and enhance your vision. GUNNAR’s premium computer eyewear defends eyes against short and long-term effects of digital eyestrain. Our patented lenses add focus, block harsh blue light and glare so your eyes can finally relax. Focus longer. Work more efficiently. Be comfortable doing it. GUNNAR lenses have enhanced focusing power and proprietary tints, providing you with sharper, clearer vision all while helping you focus more naturally and blocking blue light. GUNNAR custom lens tints and filters block harsh blue light and glare so your eyes can finally relax. Focus longer. Work more efficiently. Be comfortable doing it. GUNNAR patented lens technology reduces glare, and absorbs and reflects high-energy blue light that can strain your eyes and disrupt your sleep cycle. We are wired to a media-rich, networked world of infinite possibility. Visually connected to computers, tablets, phones and games. Peering into an abyss of high-energy visible [HEV] artificial blue light for hours can disrupt your entire system: your eyes, neck and back, circadian rhythms, serotonin levels and overall health. Computer Vision Syndrome [CVS] has become an increasing problem. Nearly 70% of U.S. adults experience digital eyestrain as a result of increasing use of digital devices. Cumulative exposure to artificial blue light can contribute to vision problems such as cataracts and age-related macular degeneration. The Vision Council: Nearly 70% of American adults experience some form of digital eye strain due to prolonged use of electronic devices. GUNNAR offers the only patented computer lens technology solution recommended by doctors to protect and enhance your vision. 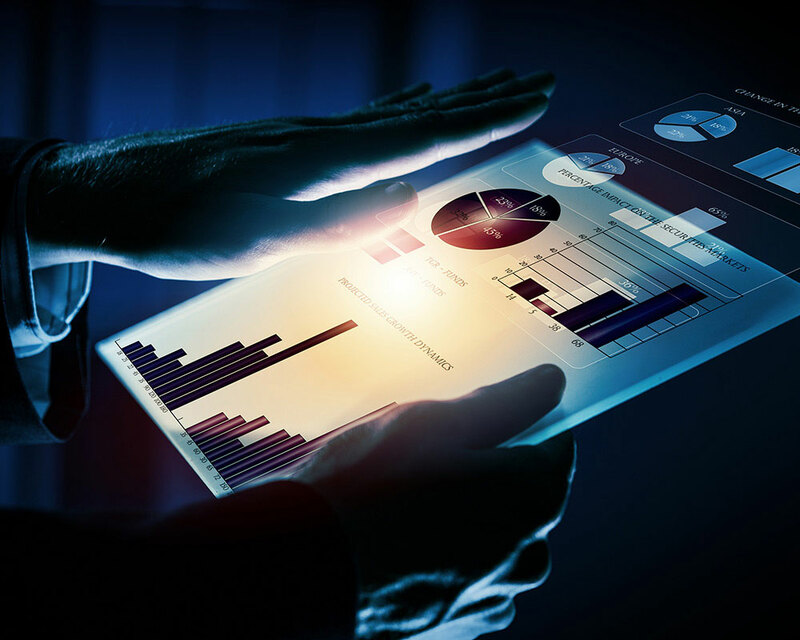 Our custom and complete solution addresses and alleviates all common issues associated with digital eye strain, effects of artificial blue light, visual stress and fatigue. 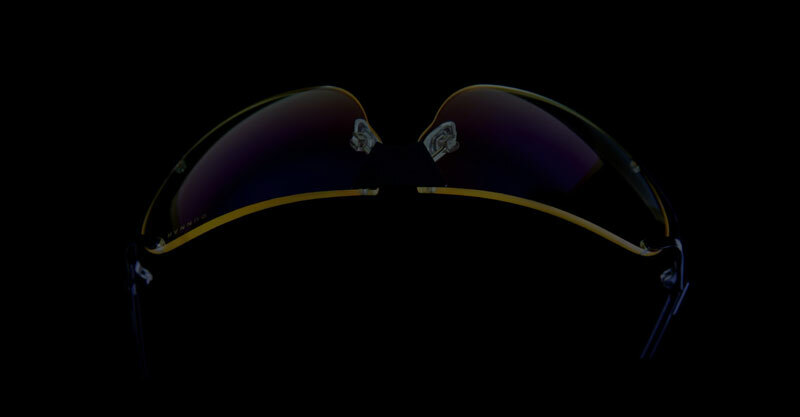 As the world leader in computer eyewear, GUNNAR pioneered an advanced lens material that offers distortion-free, ultra-light, ergonomic properties not found in inferior lens material. Our proprietary lens design aids natural focusing to provide sharper, clearer vision, resulting in less strain on ciliary muscles, and frame your face to reduce effects of dry eye. In addition, custom tints and premium coatings block high-energy artificial blue light, ultraviolet (UV) light and glare to protect your vision. The result – improved clarity, focus and performance designed to meet demanding visual needs of our generation. Prescription Rx eyeglasses are available for anyone who requires corrective lenses. Our patented lens design is highly wrapped to limit air currents near the eyes, increasing humidity and preventing irritation, unlike many traditional prescription eyeglasses. This design enhances focus and sharpens detail to ease eyestrain. Individual blink rate is decreased by approximately 60% when using a computer or doing near-distance work. Consequently, protective tear film layers are replenished less frequently, leaving eyes irritated, dry, and exposed to environmental damage. Long-term effects may include abrasion, erosion, and scarring of the cornea. 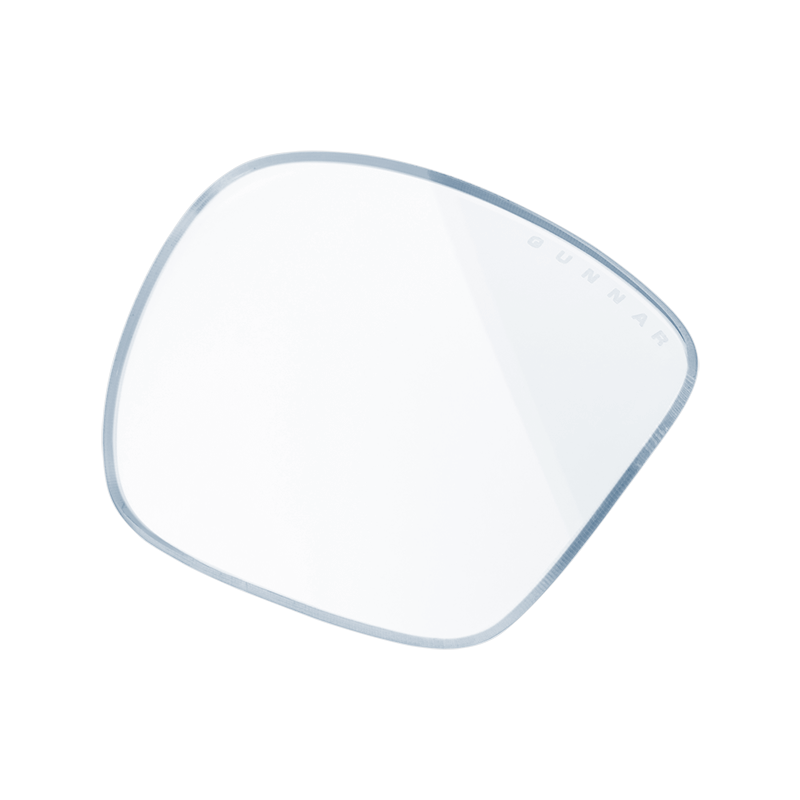 Our highly wrapped frame limits air currents and increases humidity to form a protective barrier around the eye. Continuous flexion of ciliary muscles during long periods of near-distance viewing can cause blurred vision, difficulty focusing, double vision and eyestrain. Our lens design pre-focuses the light allowing ciliary muscles to relax while details appear sharper. Dry eyes can cause irritation and impair normal visual function. GUNNARS increase humidity levels and reduce muscular strain, resulting in eyes that are refreshed, protected and able to function more comfortably and efficiently. GUNNAR lens material eliminates distortion from impurities and haze found in inferior materials to ensure the clearest image possible. The ultra-light yet durable performance optics will not degrade over time. Traditional lens materials compromise on clarity, color control, durability, and impact resistance. GUNNAR lens material is the only optical lens that optimizes durability and impact resistance while maintaining the highest degree of clarity and color control. With minimal haze and ultra-sharp optics, lenses appear crystal clear. 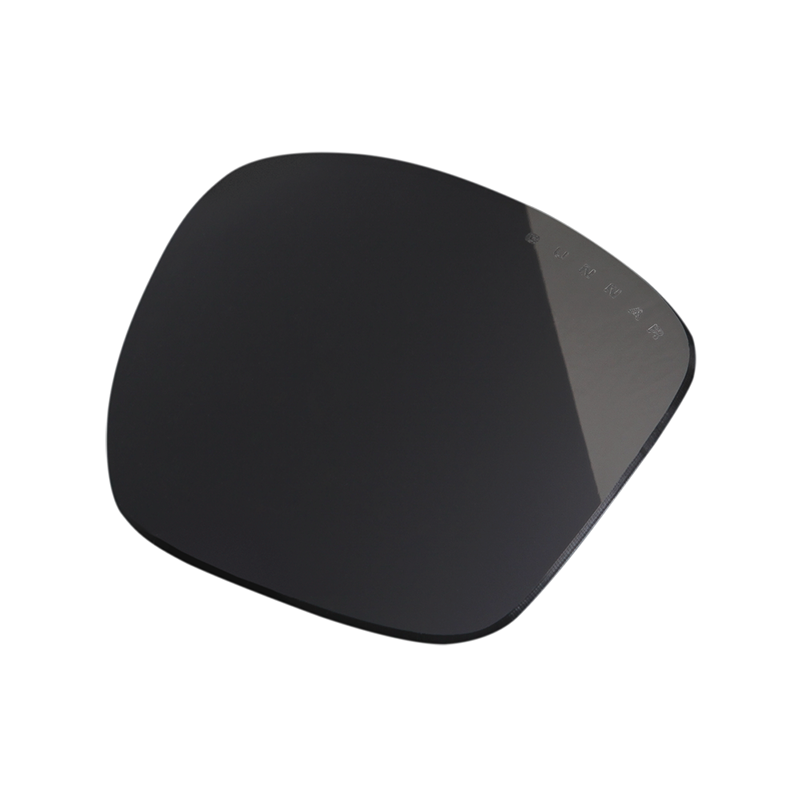 The high degree of color control within the lenses also enables GUNNARS to handle engineered tints and bandpass filters properly with no birefringence or edge effects found in inferior lens materials. GUNNARS custom lens tints filter blue light and block UV light to enhance contrast, and protect eyes. 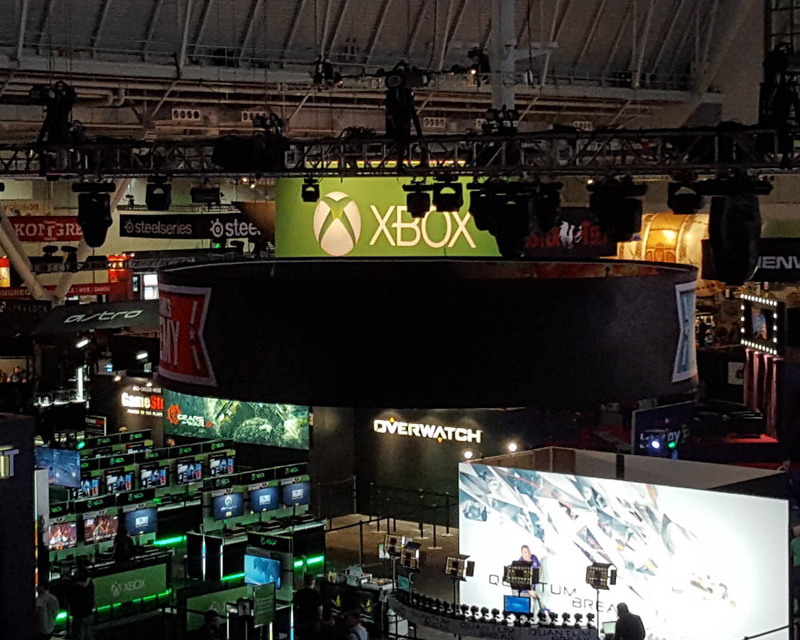 The filtered spectrum replicates natural light, minimizing visual stress. Artificial light from energy-efficient computers and overhead fluorescent lighting consists of narrow bands of high-energy light instead of the equally balanced, full-spectrum the human eye prefers. Changing the color of your screen or brightness does not affect the quality of the digital light. GUNNAR lens tints filter and balance the transmitted spectrum, reducing high-energy visible [HEV] light and warming the overall view. With harsh blue light reduced, sensitive parts of the eye are engaged, increasing perceived contrast. Filtering blue light from a backlit screen reduces visual recovery time and protects the eyes “after image” effects. 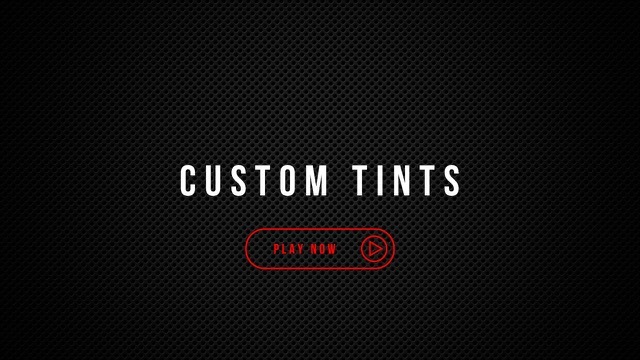 Our custom tints tune artificial blue light to enhance the physiology of the naked eye, increasing contrast perception and shifting the color spectrum for visual efficiency. The GUNNAR signature Amber lens tint offers the best enhancement of contrast and visual performance while minimizing screen glare and diminishing the harshest parts of the color spectrum. Our Crystalline lens and coating formula is designed specifically for graphic designers, video/film editors, and creative visual artists who require an equally balanced color spectrum. If your profession requires you to work in true color, then this lens option is for you. Our non-polarized outdoor tint creates a more comfortable and rich visual experience for anyone viewing digital devices outdoors. GUNNAR lens coatings reduce glare and reflective light to eliminate visual distraction and stress. An external hard coat provides extended lens durability and resists scratches. GUNNAR lens coatings have anti-reflective properties that reduce peripheral reflections and glare. Without distracting reflections, eyes can focus more efficiently. While some eyewear may have anti-reflective properties on the front portion of the lens, reflected light from the eye itself can be distracting on the inside of the lens. GUNNAR uses the anti-reflection coating on both sides of the lens for a clear view. 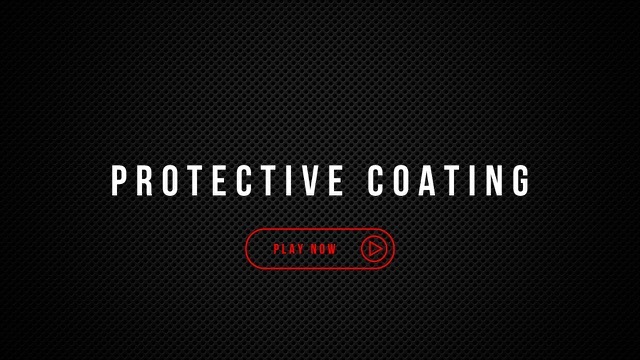 An external hard coat makes GUNNAR eyewear extremely durable. Low-quality lenses can degrade over time due to the buildup of haze-inducing oils and surface abrasions, and damage from usage lowers optical performance. GUNNAR lens coatings have an outer protective hard coat to resist scratches and maintain optical integrity over time. 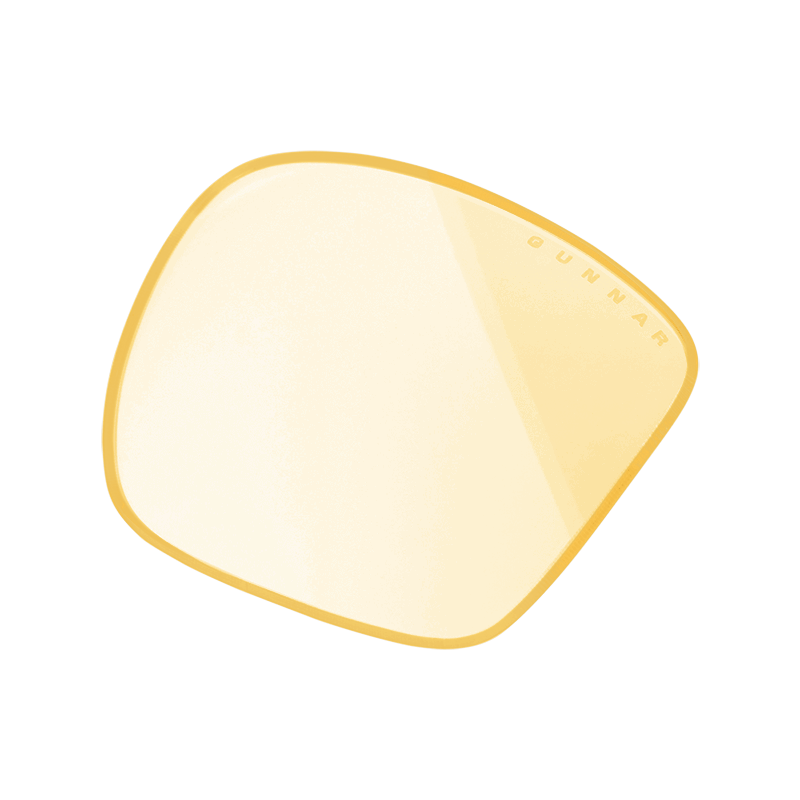 Additional treatments prevent oil buildup from penetrating the lens material, and promote easy cleaning and care. Reducing external sources of visual light and glare minimizes the amount of work your eyes perform to focus on a task. GUNNAR’s lens coatings optimize the environment by eliminating visual noise. The protective outer layer also provides lasting durability and lens performance over time. We are visually connected to computers, tablets, phones, and games. Peering into the digital world for hours can disrupt our entire system. As digital device use increases, more and more people suffer from digital eyestrain symptoms. One cause of this is believed to be the blue light emitted from the displays of such devices. Because blue light has the shortest wavelength in the visible light spectrum it carries the highest amount of energy. Recent evidence suggests that prolonged exposure to blue light can cause damage to the retina, in particular with the development of age-related macular degeneration, which is the third leading cause of blindness worldwide. 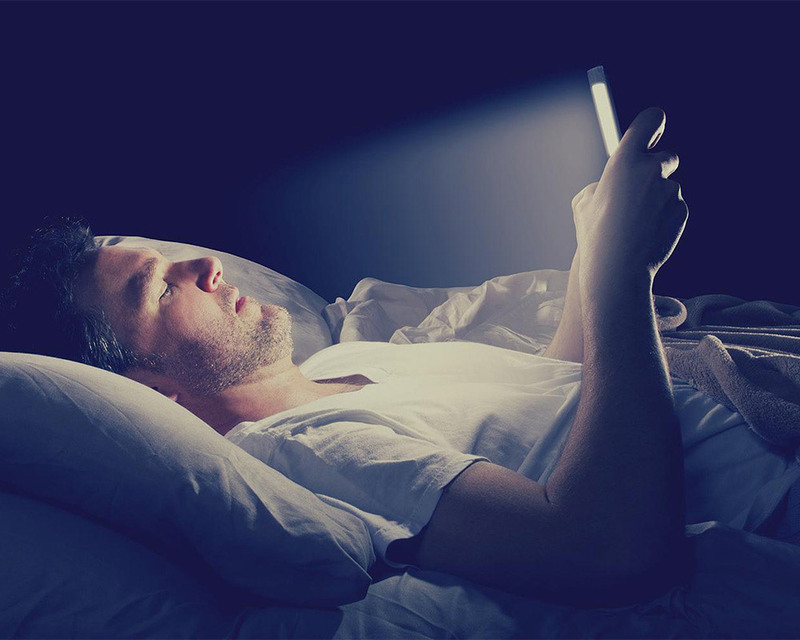 Over exposure to blue light from screens disrupts melatonin production and sleep patterns. Blue light from screen exposure has been linked to retinal damage, cataracts, and Macular degeneration. Visible blue light is very high energy and exposure to it is very exhausting to the eyes. Over-saturation of blue light can decrease visual acuity and make focusing difficult. Blue light has been shown to induce photochemical damage to the retina and macula that causes oxidative stress on the eyes. Disrupted sleep patterns can lead to depression, neurotoxin buildup, and increased risk of disease. Blue light, in particular at the 450nm point, is hard on the eyes for several reasons. This is the area that digital devices produce an abundance of that can do the most damage to the retina. Blue light between 380 and 470nm is considered harmful blue light because it can cause accumulated damage to the retina, cause cataracts, and is linked to sleep disorders. All blue light is not bad though. Blue light from 470 to 500nm, also called blue turquoise light, is generally considered good for you. This range of visible blue light is beneficial because it provides natural reflexes protecting eyes from light overexposure and helps cognitive and memory function. It also stimulates the photosensitive retinal ganglion cells, stimulates pupillary reflex and controls the circadian cycle. GUNNAR lenses are carefully engineered to filter and balance light while absorbing (HEV) blue light emitted from digital devices. By designing our lenses to shift the color spectrum for visual efficiency, the GUNNAR amber lens takes artificial light and precisely tunes it to the physiology of the eye. GUNNAR lenses are precision formulated to block harsh blue light, minimize glare, reduce eye strain, and improve your health and sleep. The signature Amber lens tint offers the best enhancement of contrast and visual performance while minimizing screen glare and diminishing the harshest parts of the color spectrum. Our signature Amber lens tint filters 65% of harmful high-intensity blue light. 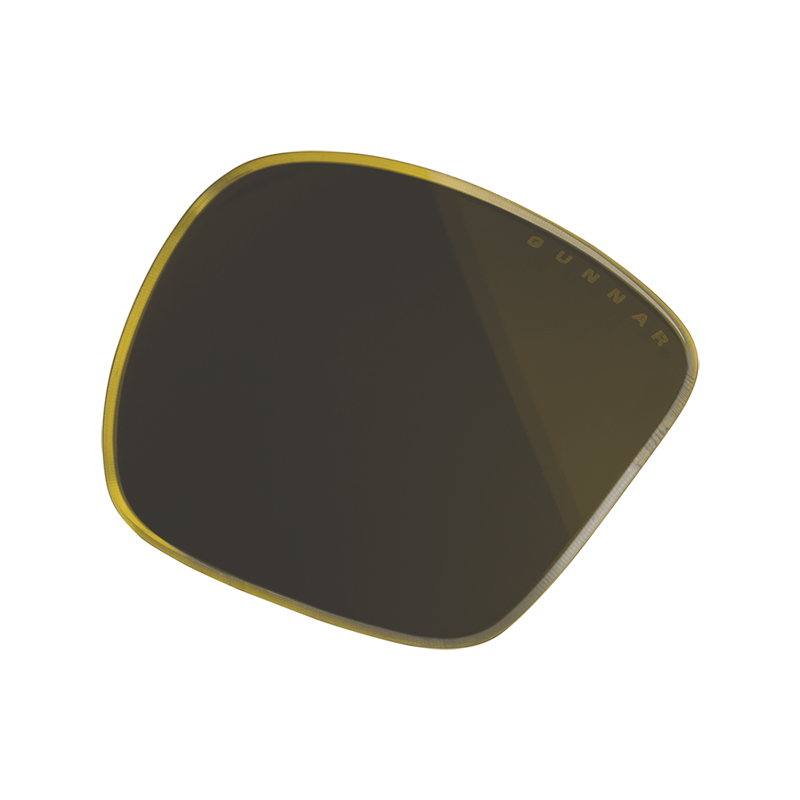 The GUNNAR Amber Max Lens is the essential solution for those who are highly sensitive to artificial blue light or night time digital device usage. Offering superior protection, the lens blocks a total of 98% of harmful artificial blue light and 100% of UV light. The Crystalline lens tint is designed specifically for graphic designers, video/film editors and creative visual artists who require an equally balanced color spectrum. If your profession requires you to work in true color, then this lens option is for you. 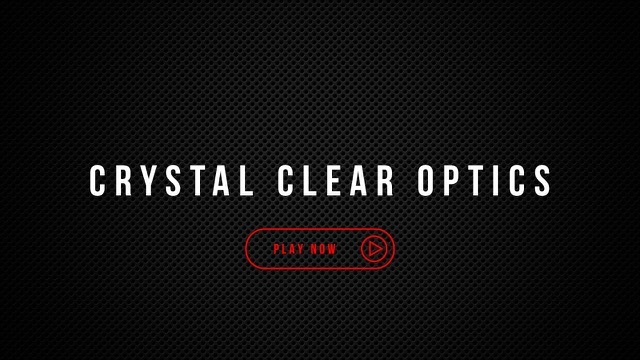 The Crystalline lens filters 10% of harmful high-intensity blue light. Our Outdoor lens tint creates a more comfortable and rich visual experience for anyone viewing digital devices outdoors. When you need to go outside and face the sun’s harsh ultraviolet rays, you need the GUNNAR Outdoor lens. The Outdoor lens filters all harmful UVA and UVB light while still allowing you to see your screens. We offer a wide range of eyeglass frames and lens options to suit your lifestyle and specific usage needs. Our computer styles are ideal for general computer, tablet, mobile and casual gaming use. 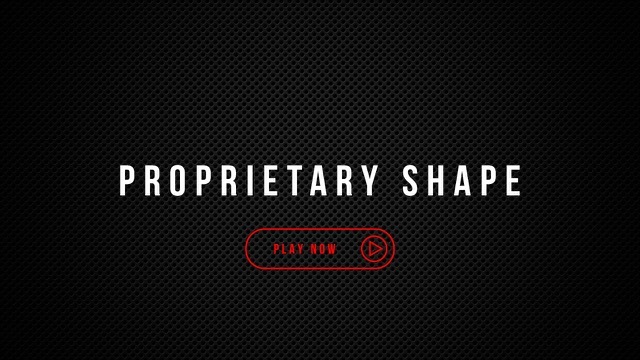 Gaming-specific styles are designed with flat temples for a comfortable fit with most gaming headsets. Amber-tinted lenses are recommended for all users as they filter the harsh spectrum, however, our Crystalline tint is engineered for designers and visual artists who require true color. Our non-polarized Outdoor sunglasses are perfect for anyone using digital devices in bright sunlit environments, as polarization renders screens unreadable at certain orientations.